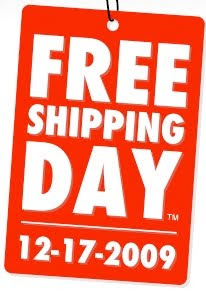 Tomorrow is Free Shipping Day where 586 participating merchants will be offering free shipping with delivery by Christmas Eve. Go here to check out the list. Don’t forget to shop through Ebates first to get cash back from most of these merchants.